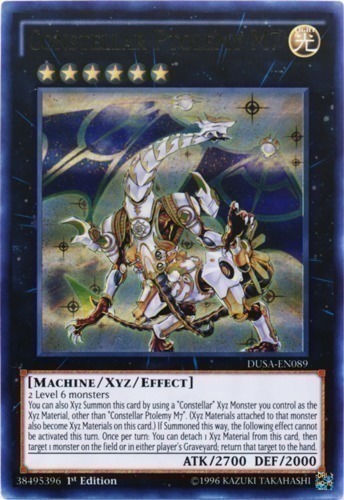 You can also Xyz Summon this card by using a "Constellar" Xyz Monster you control as the Xyz Material, other than "Constellar Ptolemy M7". (Xyz Materials attached to that monster also become Xyz Materials on this card.) If Summoned this way, the following effect cannot be activated this turn. Once per turn: You can detach 1 Xyz Material from this card, then target 1 monster on the field or in either player's Graveyard; return that target to the hand.